Lent and Easter are beautiful seasons within the Catholic Church. These seasons are especially significant to my husband and I because they were the culmination of our journeys into the Church. Lent holds many traditions to help us draw closer to Jesus. The Easter Vigil is truly a highlight after all the fasting and waiting of Lent. However, many of these special traditions are harder to keep up with kids. My husband and I haven’t been to an Easter Vigil since Sunshine was one. We managed to do Stations of the Cross a few times last year, but often they happen around bedtime which makes kids even less likely to sit through prayers and singing they don’t understand. This year, I’ve appreciated the resources at Holy Heroes to make our faith come alive for our daughters. We’ve signed up for the free Advent and Lenten Adventures for the past few years. Last week, Holy Heroes sent us a package of resources to help all of us contemplate what Jesus did for us on the cross. We have been praying the rosary more often with the girls lately. The Sorrowful Mysteries on CD has been a great way for all of us to learn these mysteries. The girls hear other kids praying, learning when to join in with the prayers and how to take turns. Each mystery also starts out with a beautiful reflection and includes a brief Scripture reading between the Hail Marys. On Friday, I prayed the Stations of the Cross with the girls at home. I let them each colour The Road to Calvary and The Passion of Jesus while we listened to the prayers on CD. 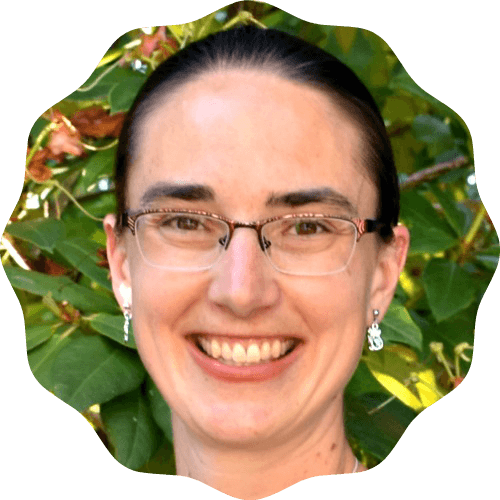 This was a good chance to answer some Sunshine’s questions about the Stations or what is happening in the story, without worrying about disturbing other people in church. Lily, who is usually my bouncier child, enjoyed quietly colouring during the prayers. I find the visuals help them learn as well. 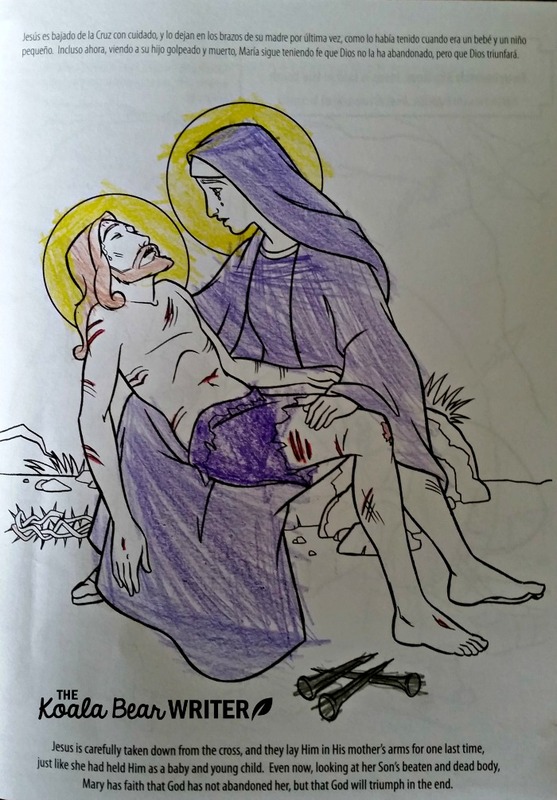 We’ve enjoyed using these resources in praying the Stations of the Cross as a family. Both the CDs and the colouring books are very kid-friendly, with gentle yet faithful words and images. We may think kids are too young to understand the pain and suffering that Jesus endured, yet children have great faith and empathy. Praying the Stations of the Cross at home with them let me answer their questions and discuss the events of Jesus’ passion in a way that we weren’t able to do when we went to church to pray. We also received Sweet Mary: Songs of the Holy Family. This beautiful CD has been helpful for Lent because it goes through the Seven Sorrows of Mary, many of which relate to Jesus’ Passion. I hadn’t heard of the Seven Sorrows of Mary before listening to this CD. I really liked the beautiful yet easy to learn songs. The CD includes songs, prayers, reflections and a few instrumental tracks. 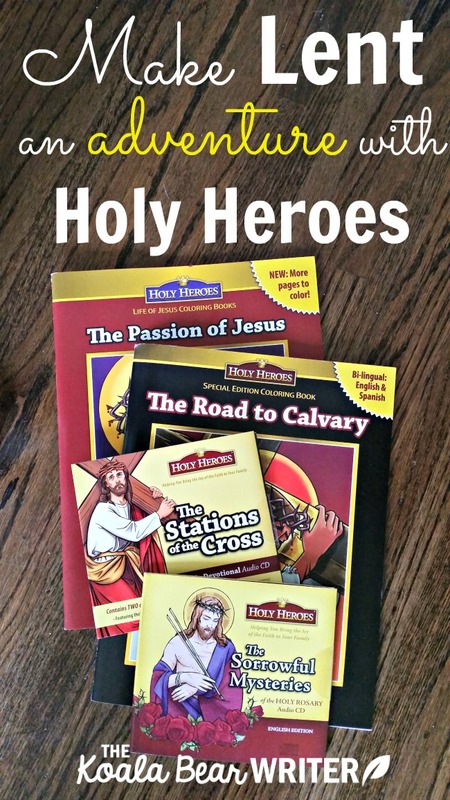 Holy Heroes has become our go-to source for great Catholic family resources. I’ve been impressed with the quality of all the products we’ve ordered, from coloring books to CDs. The girls are really enjoying the Lenten Adventure, as usual, and I’m learning as much as they are about our faith. 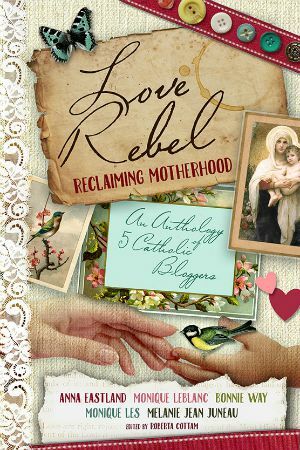 I received these resources for free (except where indicated) from Holy Heroes for the purposes of this review; all opinions expressed are my own. Thank you for sharing and joining us this week during 40 Days of Seeking Him.